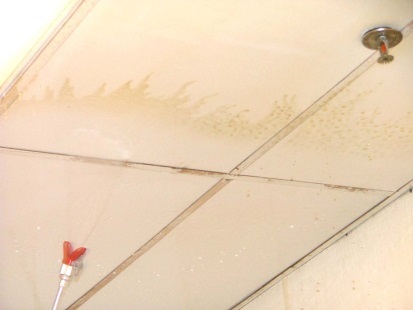 Stained, rusting metal t-bar on a ceiling makes an entire area look unprofessional and run down. 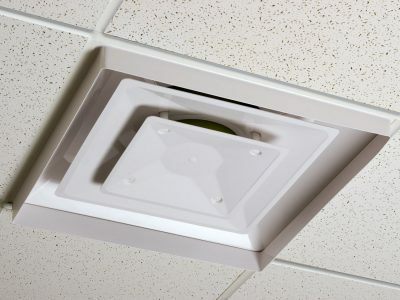 Whether the ceiling is in a restaurant, bakery, food processing company or a business office, it makes your product and services look old and tired. Give your ceiling a new look overnight! 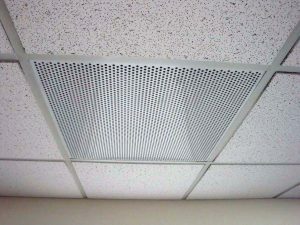 Ceilings typically consist of three types of materials, tiles, vents, and metal t-bar grid. 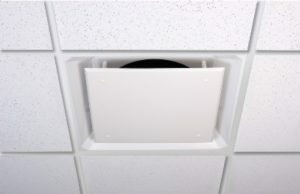 Tiles and vents can be cleaned or changed out as needed. What about the t-bar when it starts looking old and stained. 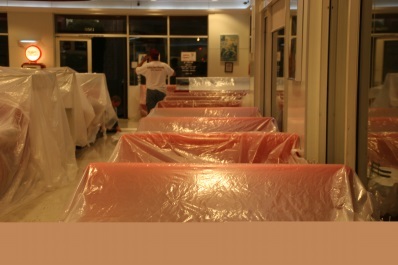 It can be cleaned but after 10 or more years, the paint becomes dull, there may be permanent marks. The t-bar looks old.